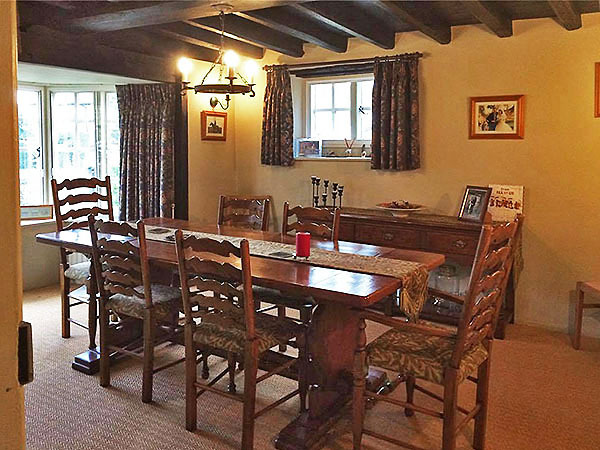 Kindly sent in by our client, this photo shows their antique (heirloom) trestle table, which we re-sized and restored, along with the four ladder back country side chairs and two carvers, which we also repaired, stripped, re-finished and provided new drop-in seat cushions. We also made up the runner, to match the chair fabric. Against the wall, is our Berwick range semi-bespoke superb value oak pot-board 3-drawer dresser base.